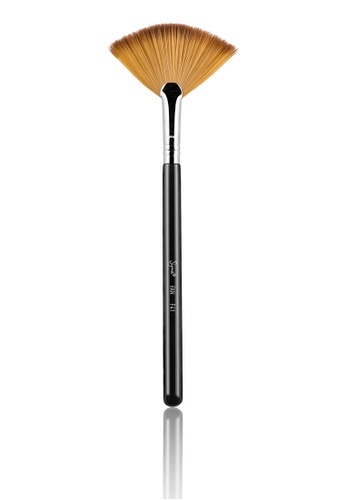 Perfect for gentle highlighting, this brush from SigmaÂ® is a definite must-have for any make-up lovin' gal. The long bristles are able to lightly apply powder, cream or liquid products to cheekbones, nose, forehead and chin. Use the corners of the fan for the perfect touch of light on the brow bone, Cupidâ€™s bow and inner corners of the eye. Can't find F41 - Fan Brush in your size?